This organizer is designed to help students organize all of the (confusing!) 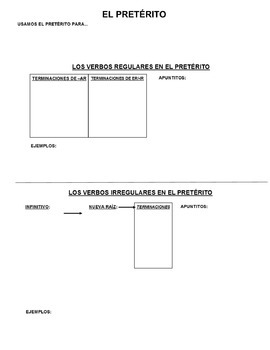 parts of preterite tense. It is 2-sided and should be opened with Microsoft Publisher.